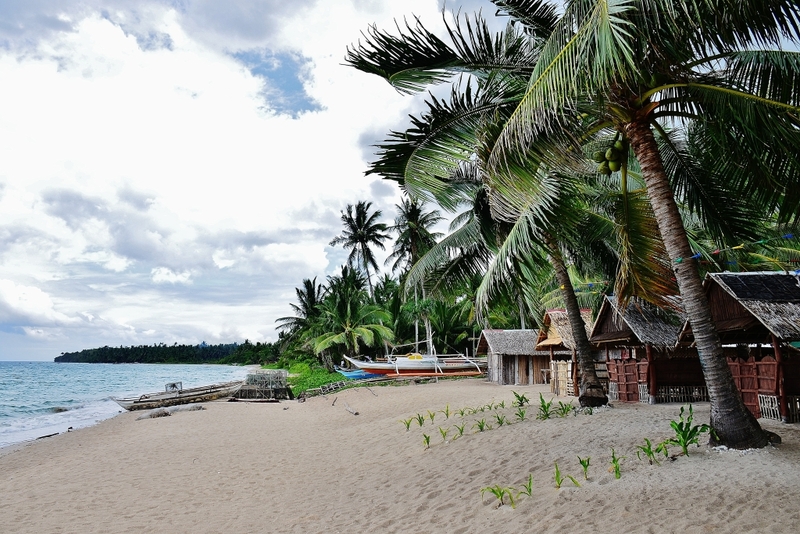 I first went to Masbate in 1978. I remember Masbate to be a very poor province. I always tell my friends that I then checked in at Crown Hotel near the pier and, when it was time for shower, the hotel staff would fetch me a huge pail of water – – brought to my second floor room from a pulley at the end of the hall. Fast forward to 2013. 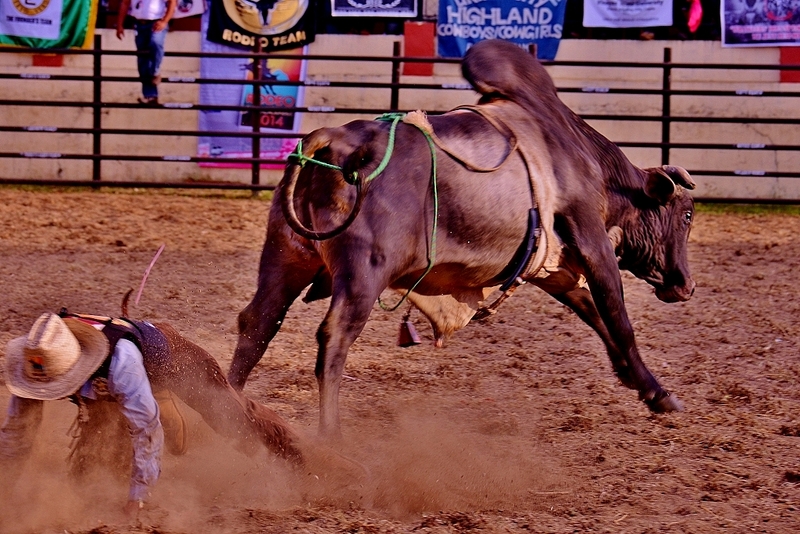 Friends piqued my interest to watch the Masbate Rodeo and I thought it was an excellent subject for photography. 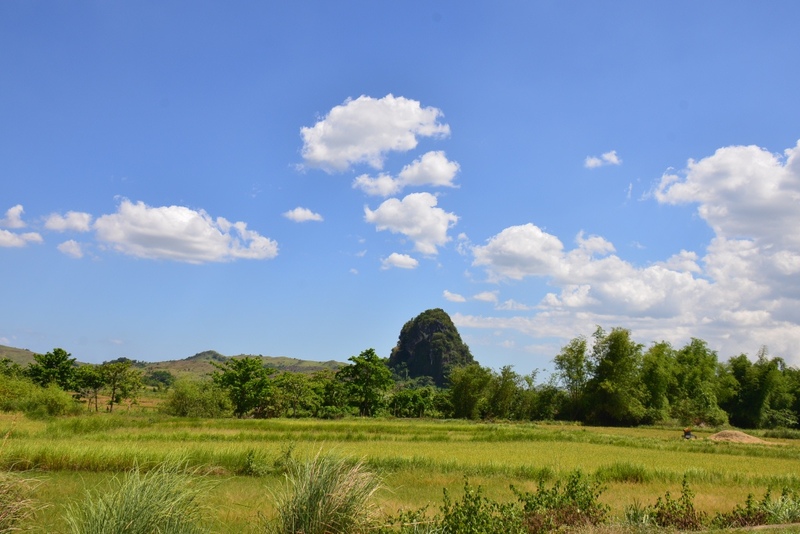 In between the rodeo events, my friends and I would go to “tourist destinations” but I did not have enough material then to write about Masbate. This year, I attended Rodeo 2014 and booked myself a much longer stay. 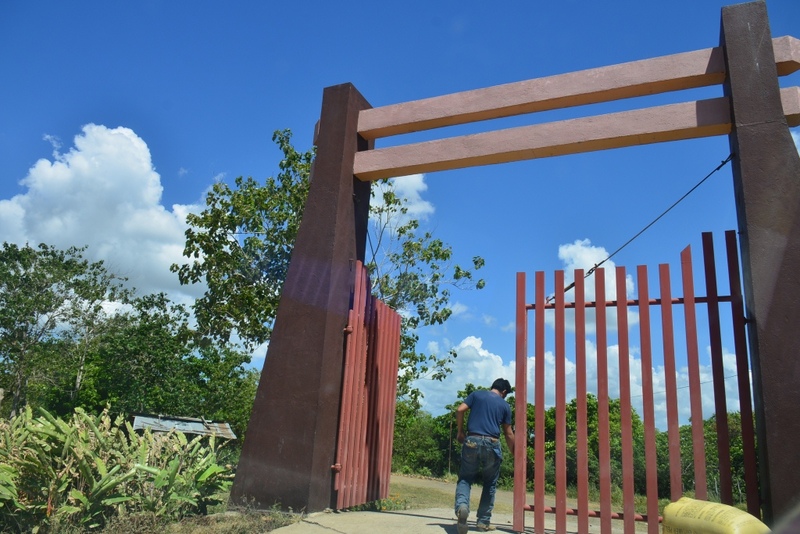 In the process, I was able to explore more of Masbate. 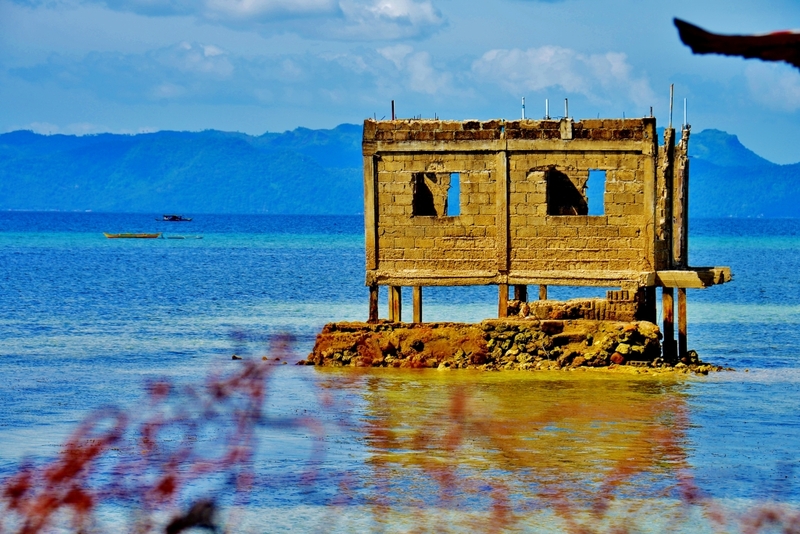 “Masbate lies roughly at the center of the Philippine archipelago … bounded on the north by Burias and Ticao Pass, east by San Bernardino Strait, south by the Visayan Sea, and west by the Sibuyan Sea. 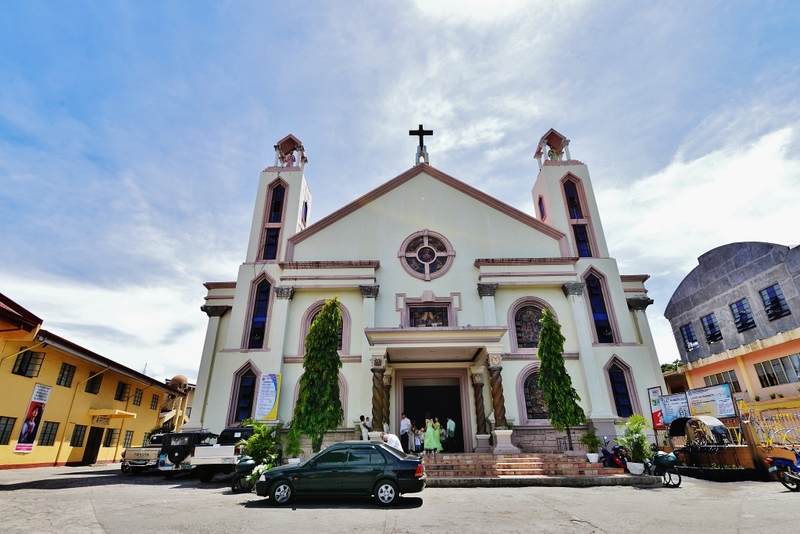 Relative to mainland Bicol, the province faces the southwestern coasts of Camarines Sur, Albay, and Sorsogon areas. 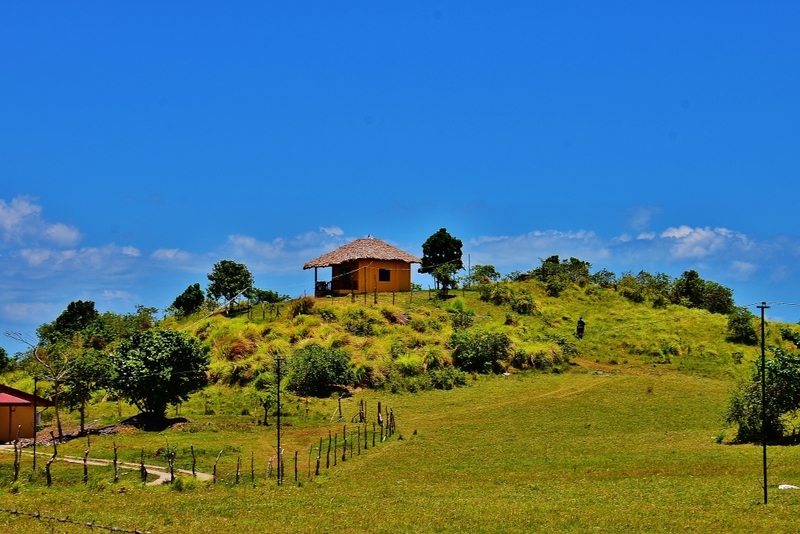 Above description of Masbate’s topography reminds me of it’s similarities to the hills of Batanes. 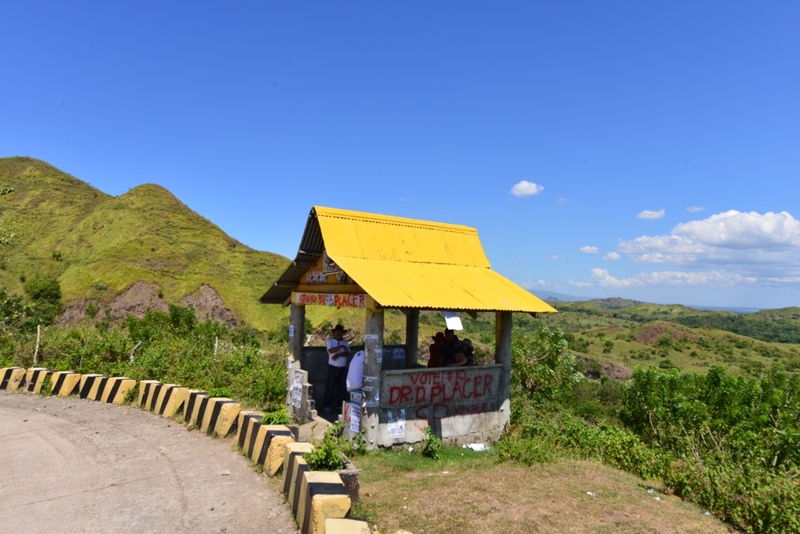 In fact, I tell my friends while we were on the road that, if they haven’t been to Batanes, they could shoot some hills and pass them off as Batanes shots. Of course I could be exaggerating. 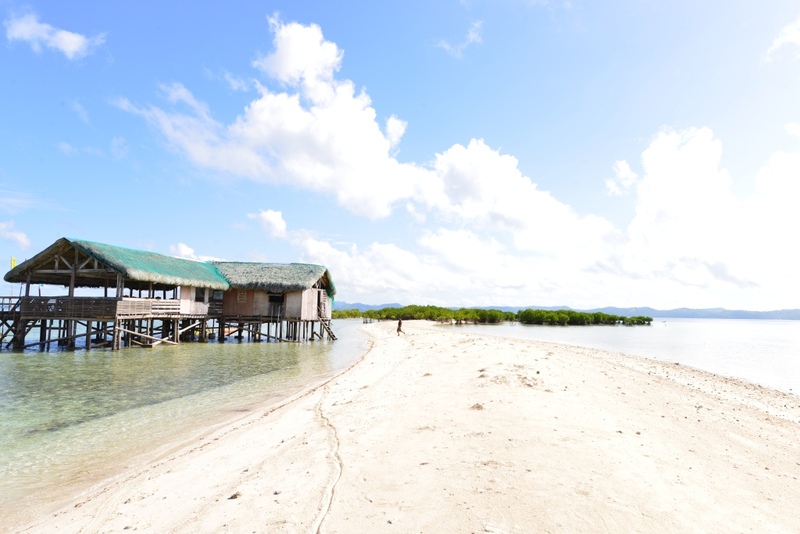 Yet, Masbate is beautiful in its own right. And depending on how deeply you explore its nooks and crannies and the islands that form part of the province, you might even say it is more beautiful. Minus the stone houses that make Batanes unique. 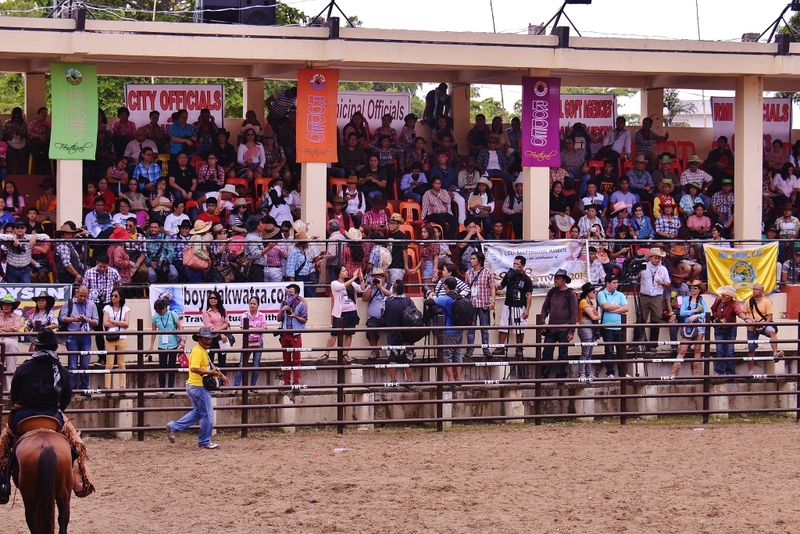 All promotions of Masbate that I have seen in recent years say Masbate is the Rodeo Capital of the Philippines. I can only agree that the rodeo is the one big draw. Otherwise, I would not have made visits to watch the rodeo for two consecutive years. 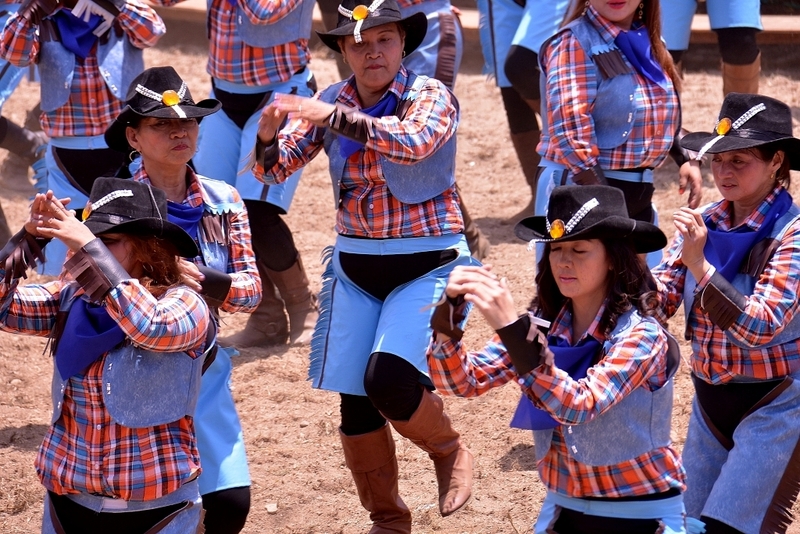 But I submit that Masbate is much more than rodeo. It’s natural beauty is more than enough to lure visitors. 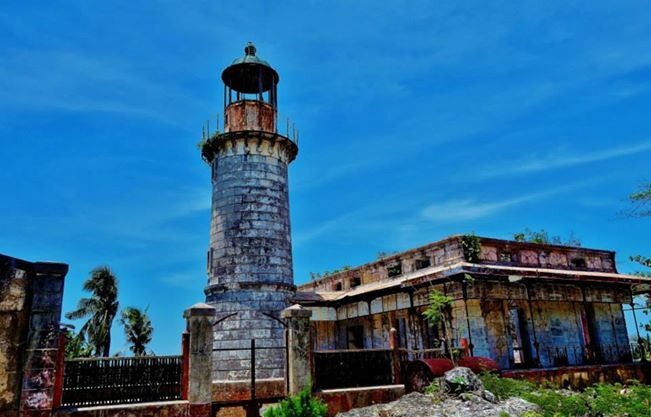 The centuries-old lighthouses are another major reason and, for some, could be sufficient enough reason to go. And I am not even talking about the wonderful people of this province that made my visits both comfortable and memorable. 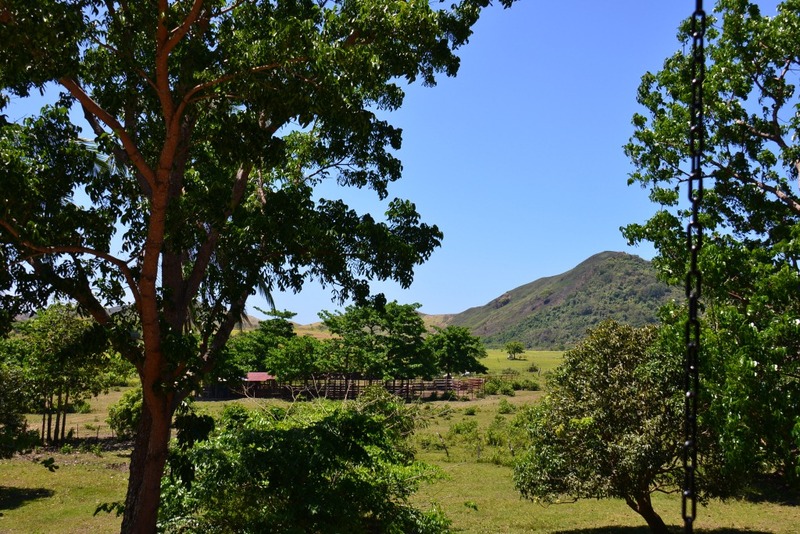 I shall show Masbate in photos on this blog. On some, I will share anecdotes. But for most, I the photos should speak for themselves. As it is sad, a picture paints a thousand words. 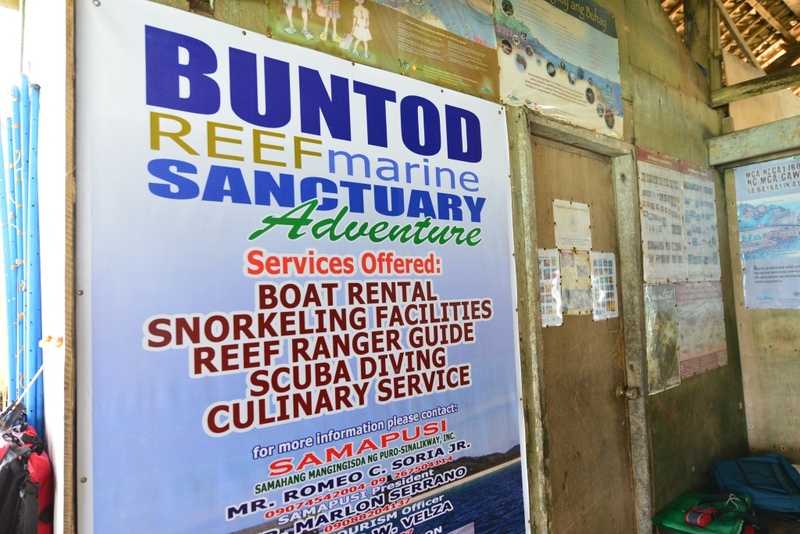 Buntod is a marine sanctuary that is most likely the most popular destination. 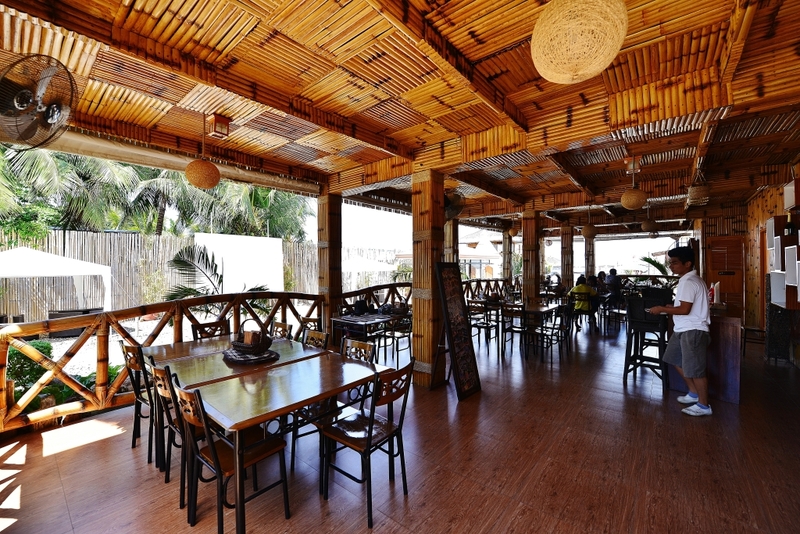 It is accessed from right at the city, at the wharf of Rendezvous Hotel. On our frist trip to Buntod, we went to still another destination, a cove about 30 minutes away. 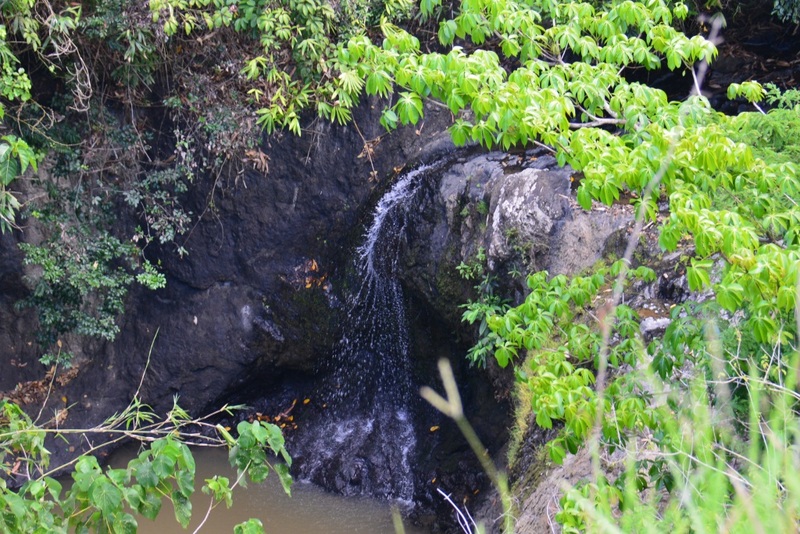 The only waterfalls I have seen that empties its waters straight into the sea. 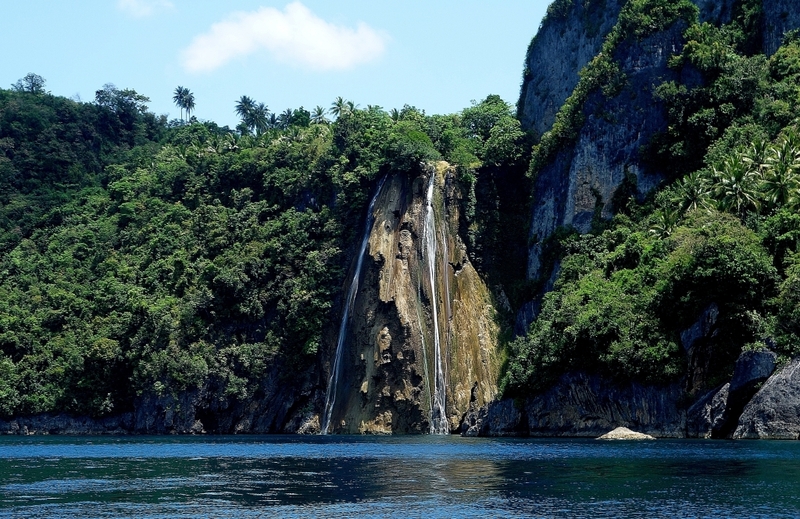 Accessible by boat, the falls is actually part of the nearby Ticao Island, in the town of San Jacinto. Palani is a rather new development. When I visied in 2013, resorts were just being set up. Excellent swimming on crystal clear waters on powdery sand. 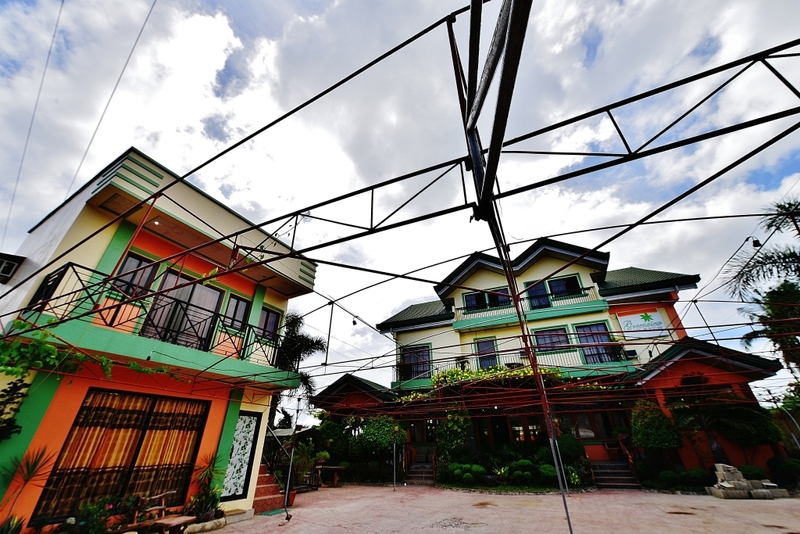 In the town of Balud. 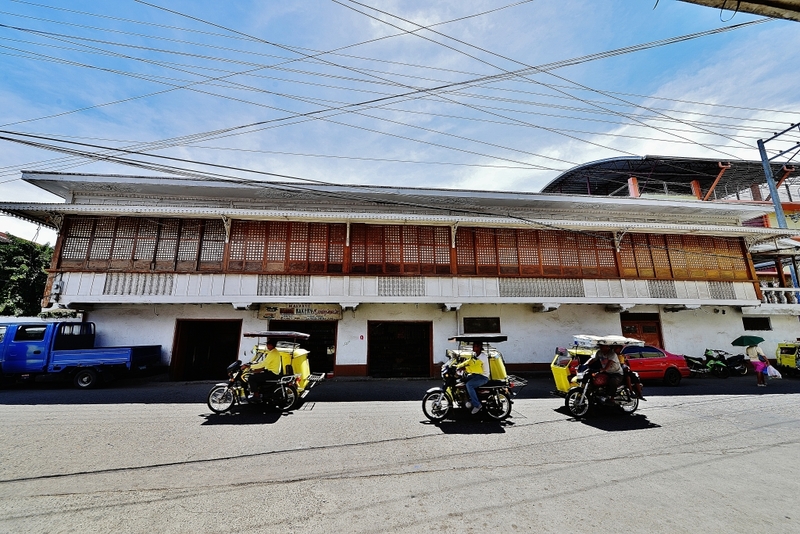 Took a 1 1/2 hour ride on a van from the Masbate Transport Terminal. Van fare was P80. 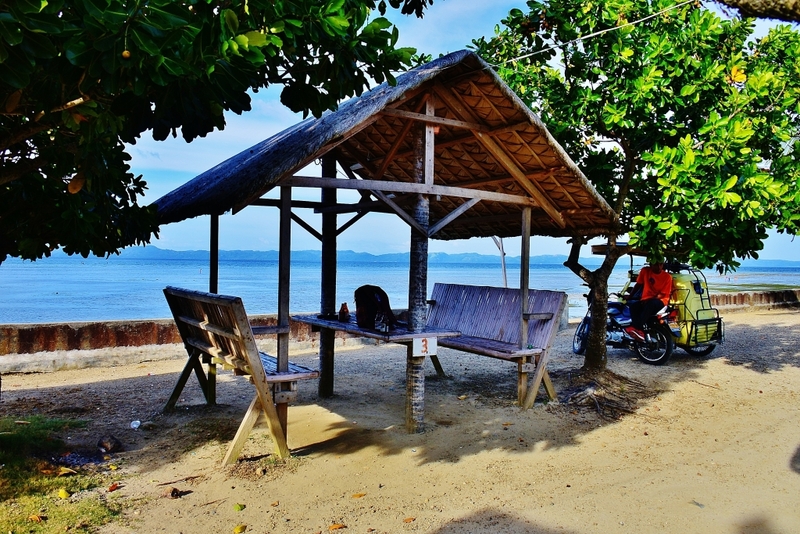 From Aroroy, took a boat to Punta Bugui, at P50 per person. 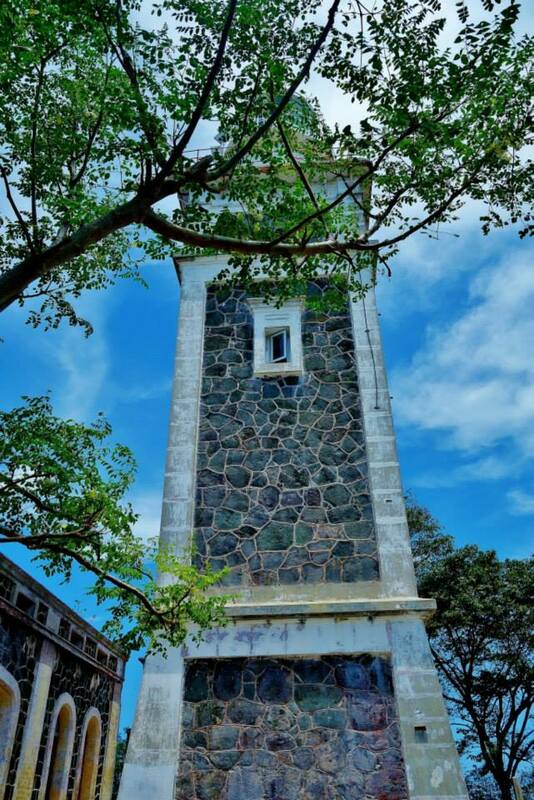 This centuries-old lighthouse is a short walk up the hill. 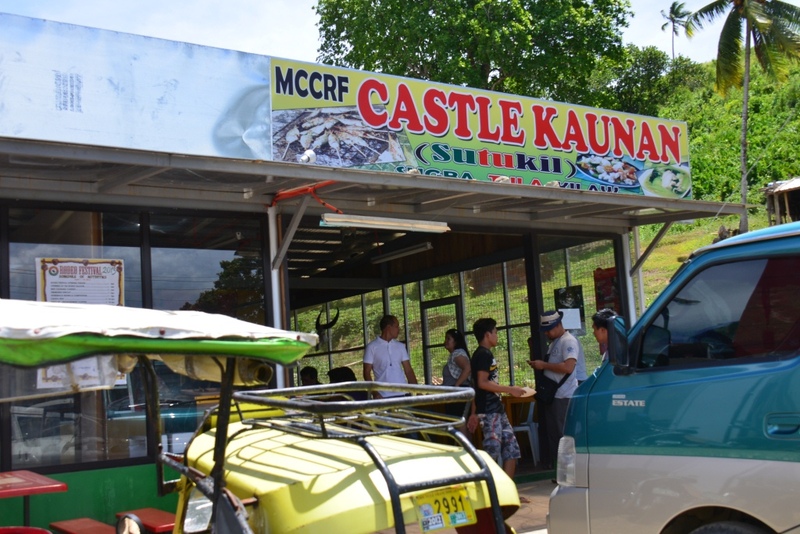 P150 fare on a van to Calumpang in the town of Balud. Approximately 2 hours, with the last 45 minutes on bumpy, rather dusty road. Good thing the van is air-conditioned. 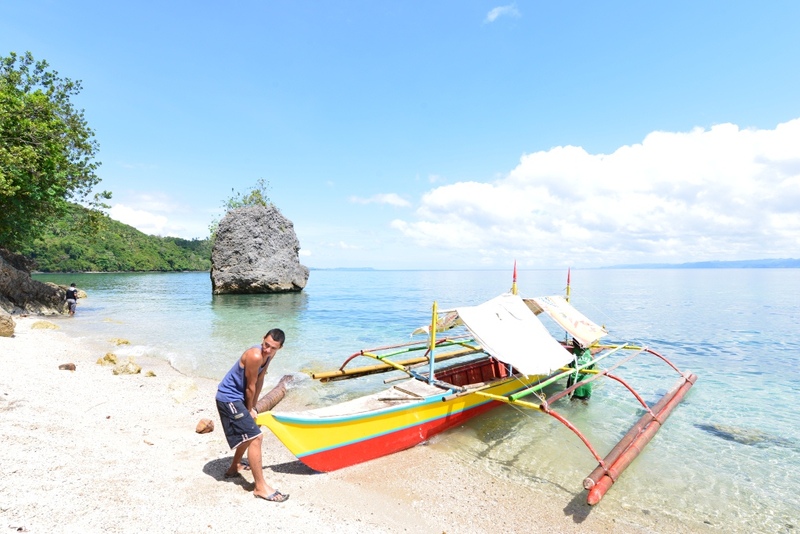 Transfered to a boat to the island of Jintotolo, landing on the Barabgay Cantil shores. A short hike up, or an easy “habal-habal” (back-ride on a motorbike) to this other centuries-old lighthouse. I rate this restaurant as another tourist destination. Our group of 25 persons ordered food more than enough for us. 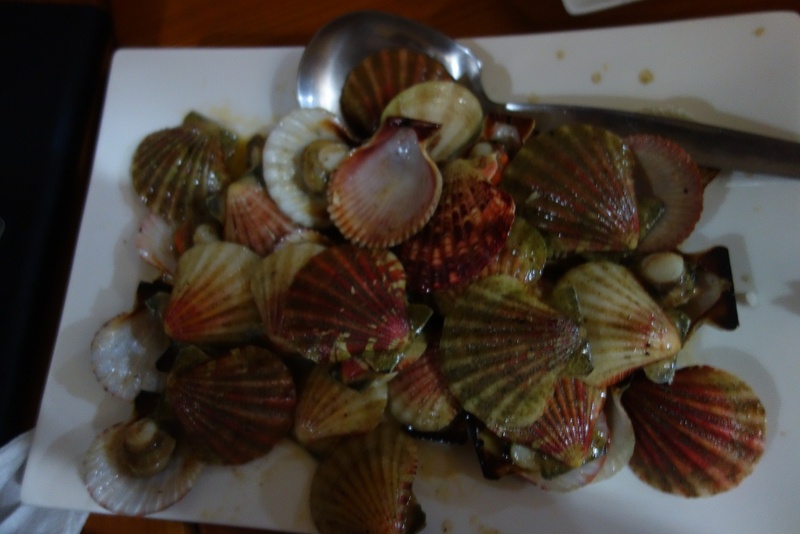 Malasuge fish cooked three ways – – – – grilled, broth, and sashimi-style. 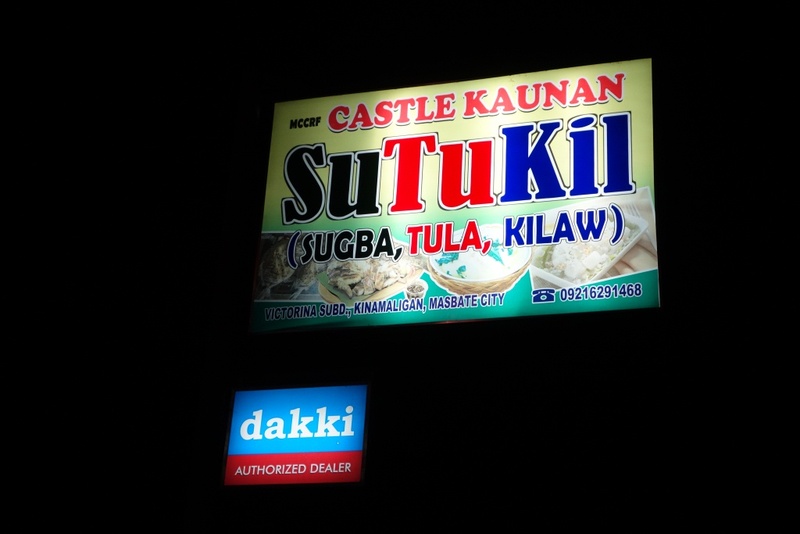 Plus scallops and seafood kare-kare. And generous servings of rice, plus softdrinks. 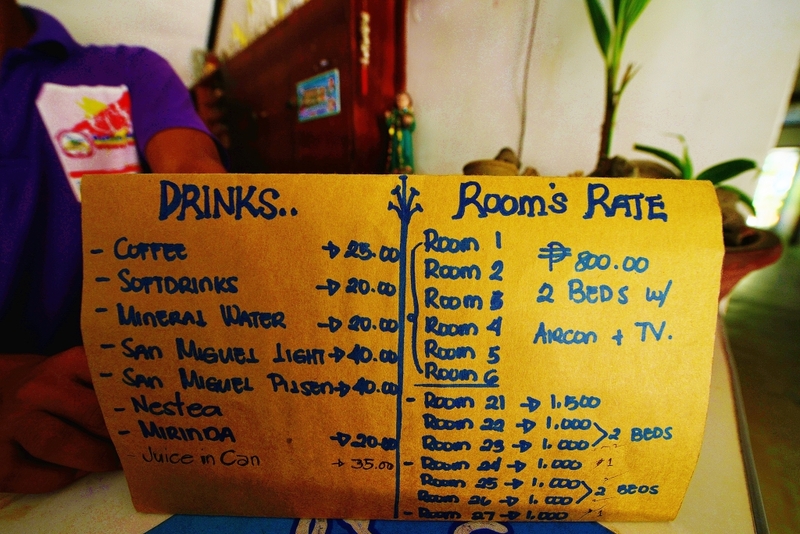 In the end, we split the bill and each one of us had to fork out only P200 each as our share. 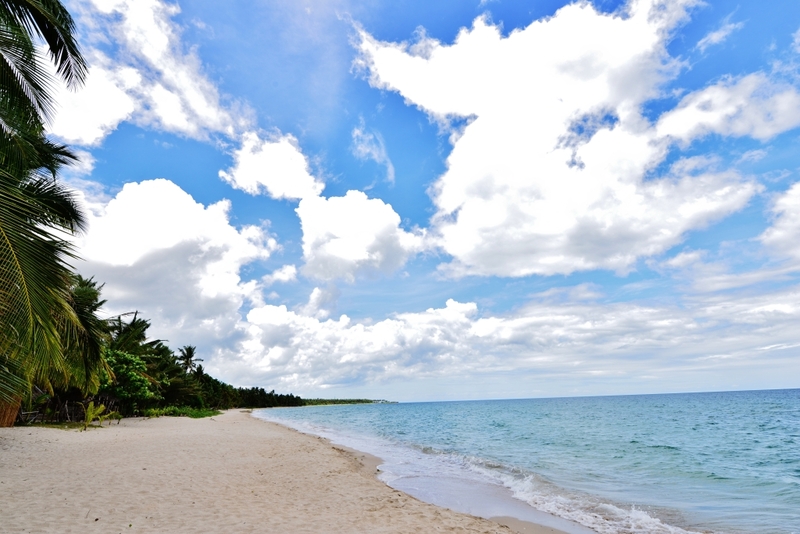 Lasala Beach was used as “command post” when Secretary Robredo’s plane crashed and President Noy Aquino took cahrge of the failed rescue operations. 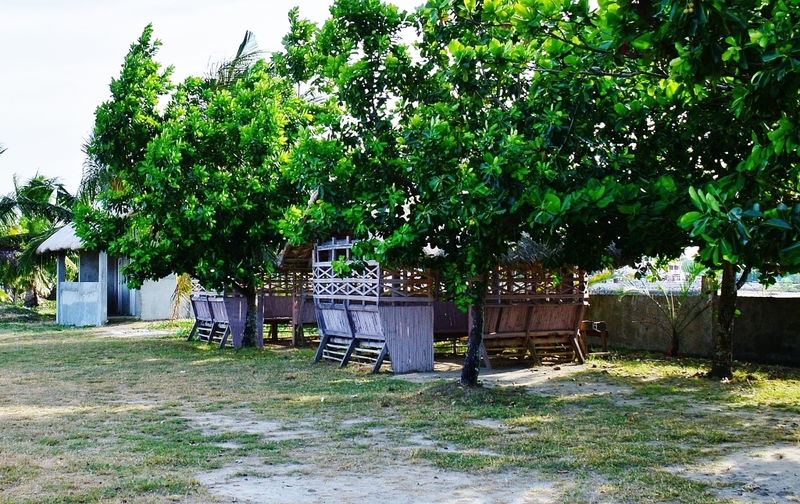 A small picnic hut has been called “Little Malacanang” by the locals since it is from this small hut where the President met with his cabinet who were with him. 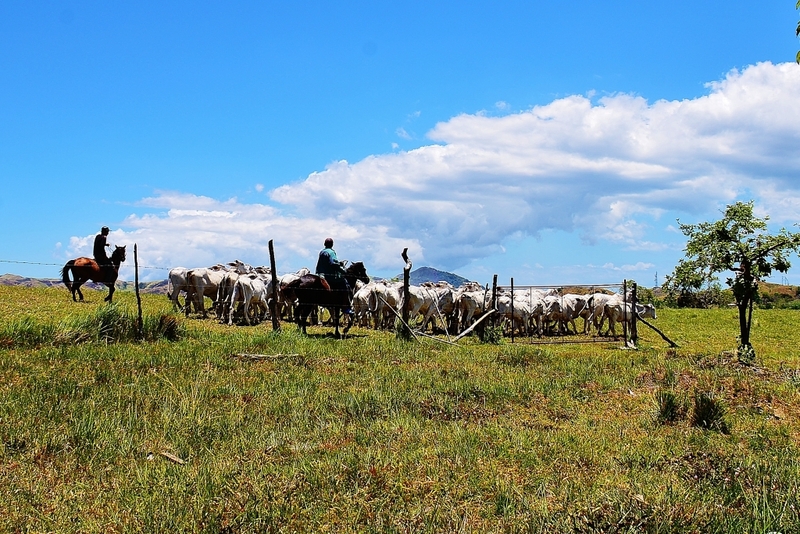 I had the privilege of a preview of a tourism package that is to be a major draw of Masbate, RANCH LIFE. 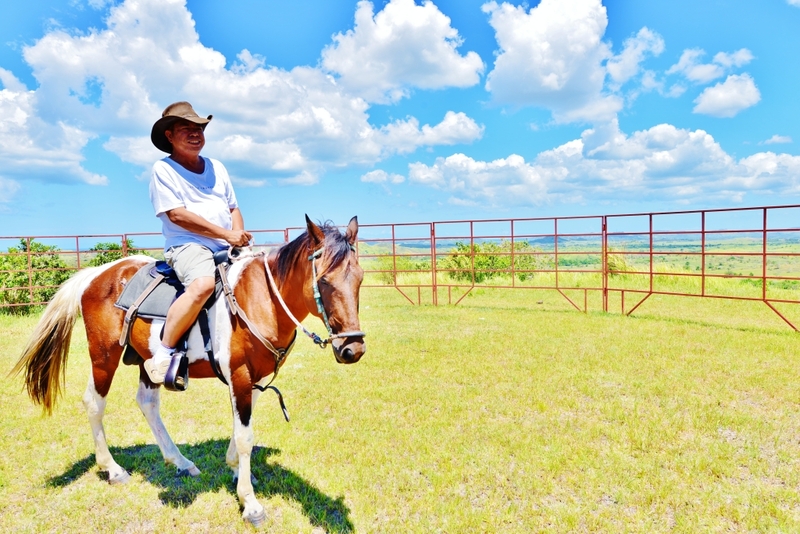 We were guests in the ranch of the president od Rodeo Masbateno, Inc, an amiable gentleman everyone calls Judge Sese. 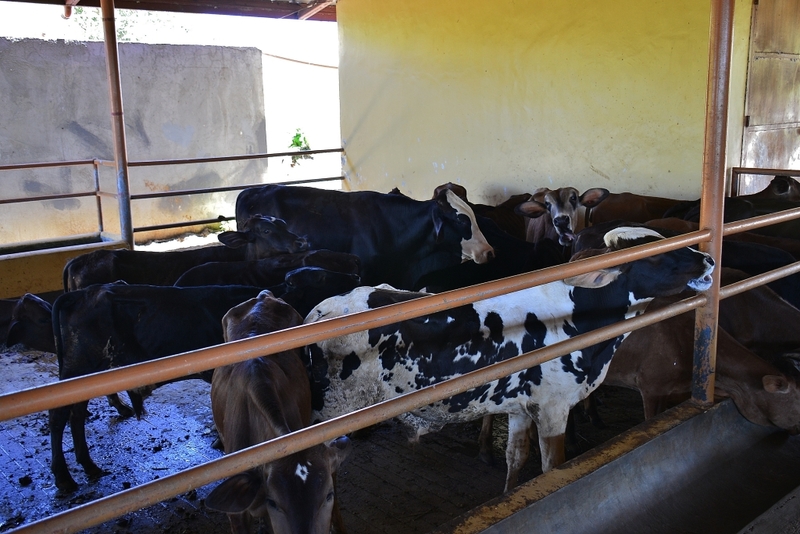 Fazenda is a rehabilitation center for drug and alcohol dependents in the town of Milagros, run by the religious.. 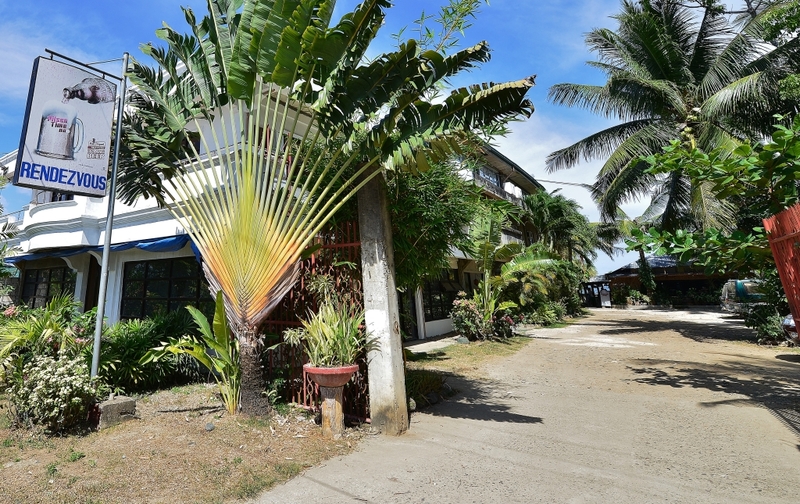 The community of Fazenda Masbate has established different working sectors: Dairy, Rice, Bakery, Vegetable Garden, T-Shirt Printing etc. 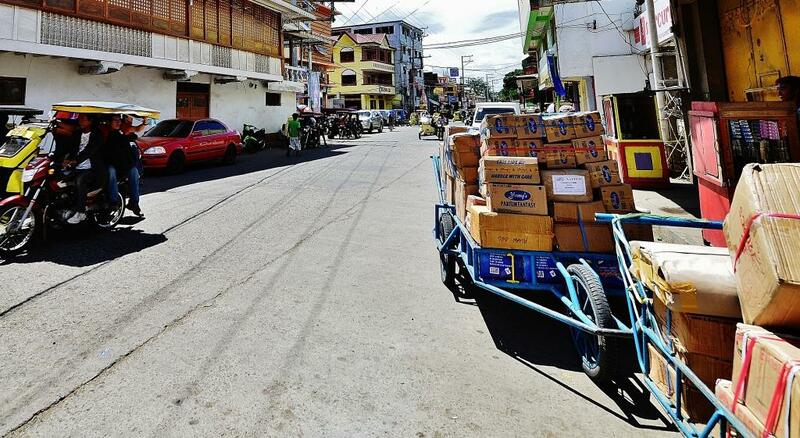 Through this, the community is earning the money for the daily operations. Locals call the zigzag road SIGSAG. 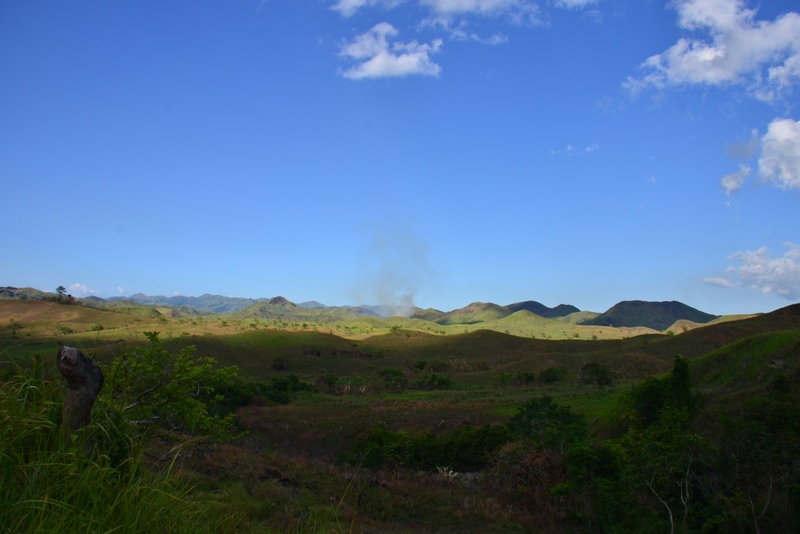 It is a beautiful winding road with a view of the hills and plains. 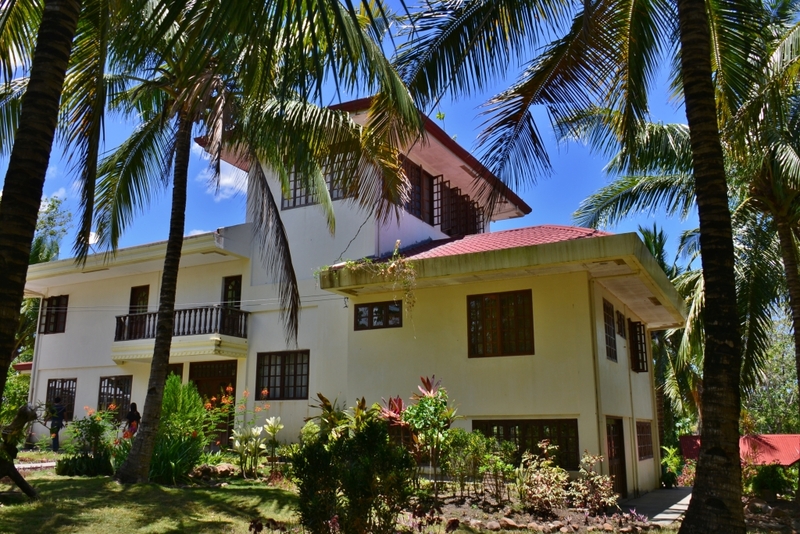 Located 1.5 kilometers inland in the town of Mandaon, near Masbate City. 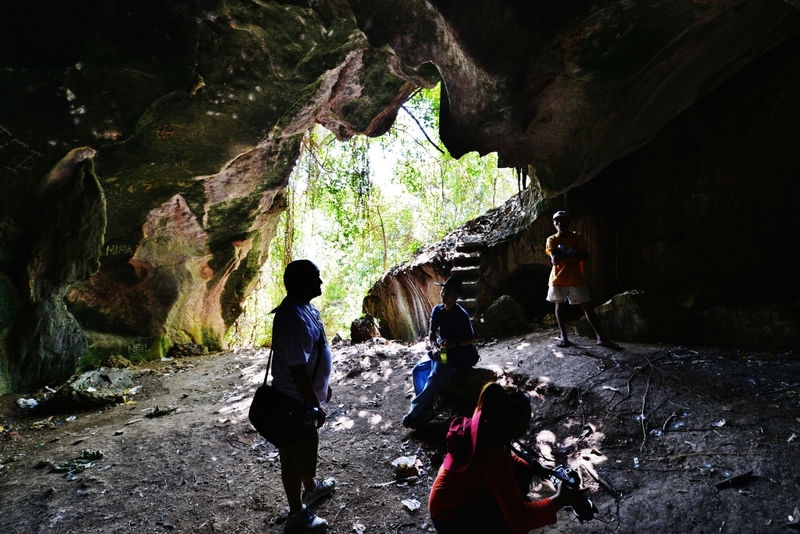 It is said that the caves were used as burial grounds in the old days. 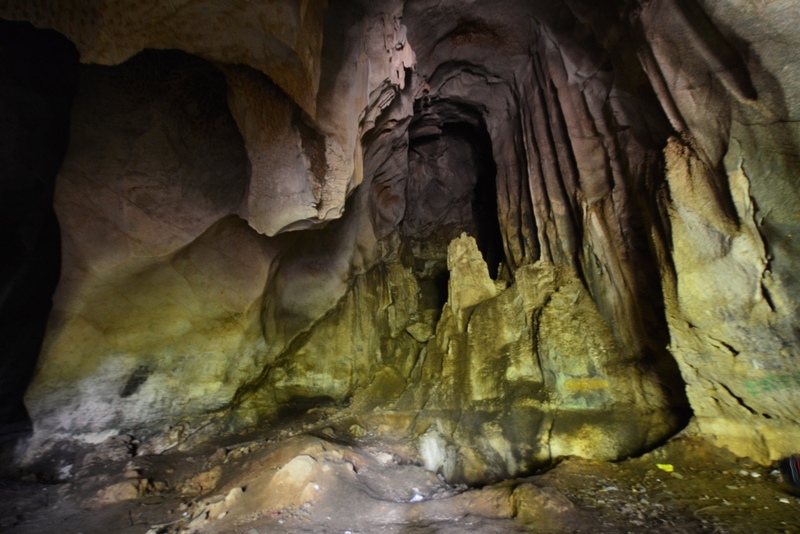 Within the area, a hike will lead visitors to an underground waterfalls. We were so tired we skipped the waterfalls and just saw another falls from up the hill. Our knees were trembling after traversing two hills we couldn’t muster the strength to go down the falls. 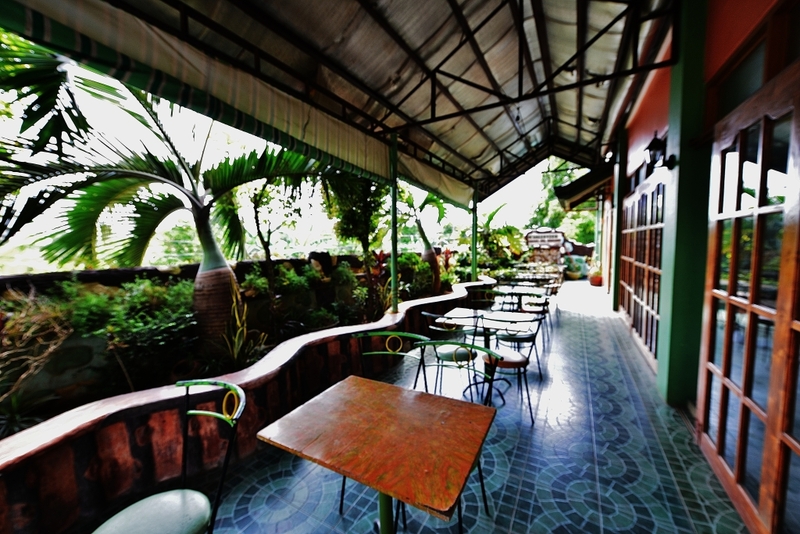 I have stayed at both Greenview Hotel and MG Hotel. Both are comfortable, but nothing de luxe. 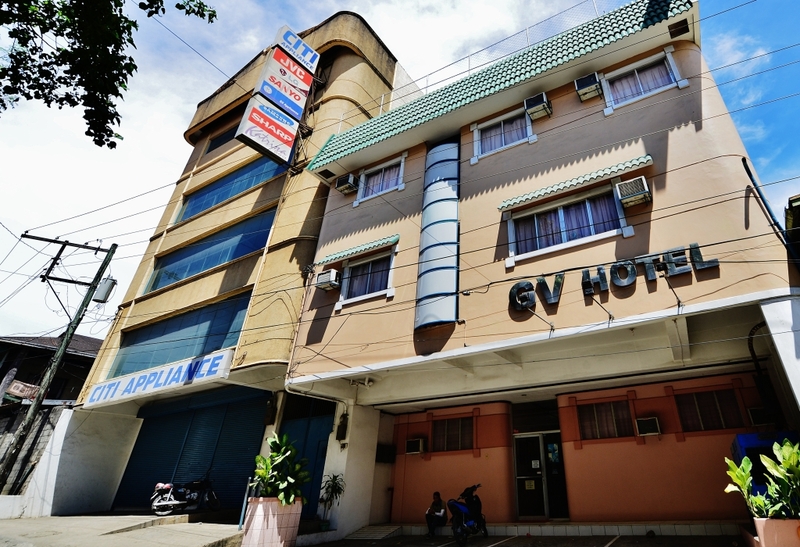 I have also visited popular hotels Rendezvous, 7 AR, and GV. 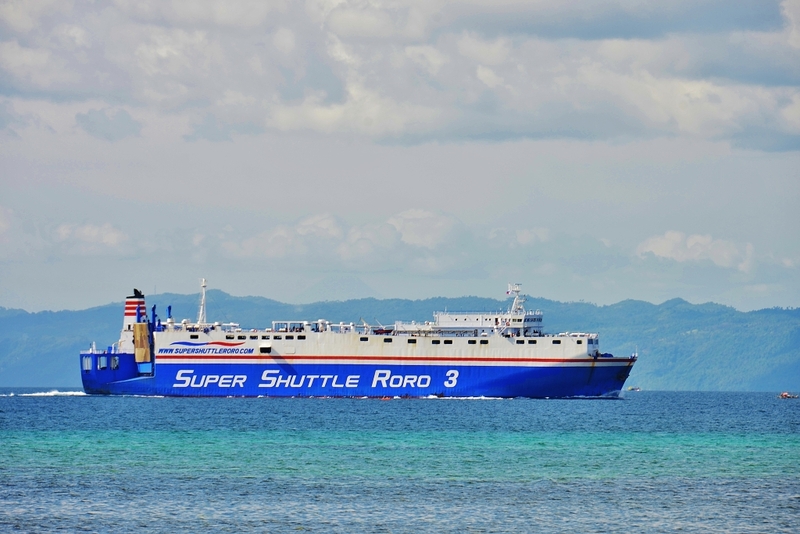 The roro bus (roro bus of Montenegro and Isarog bus line) in Araneta terminal (the old Rustan’s) leaves for Masbate between 1 pm to 6 pm. The bus fare is P1,200.00. Travel time is approximately 11 hours. 2. By Air: PAL/PAL Express direct flight to Masbate. My return ticket cost me P7,000.00. 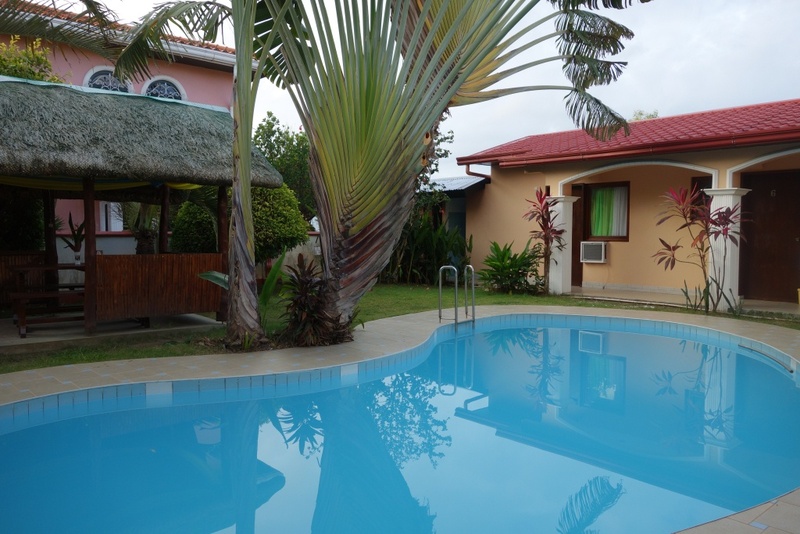 Fares vary depending on the season, and depending on how early or late you book your flight. 3. 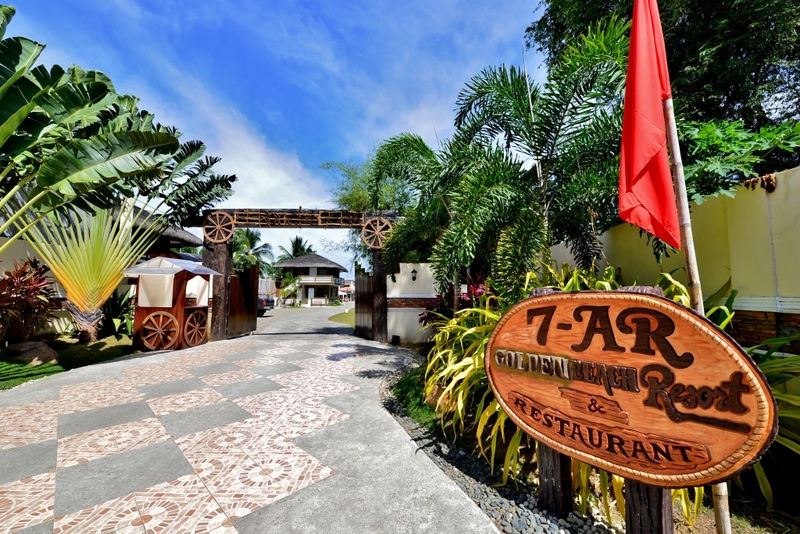 By Air, Land and Ferry: Any flight to Legazpi. 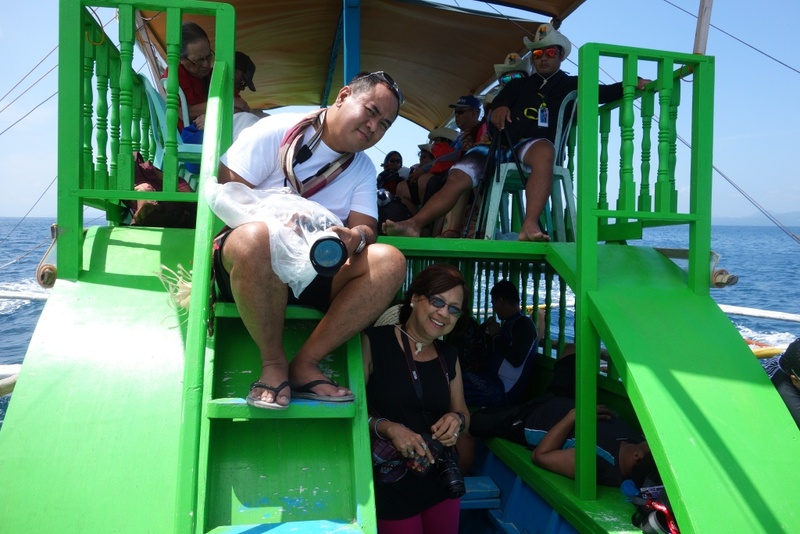 Land travel to Pilar, Sorsogon. Ferry at Pilar, Sorsogon. SEE YOU IN MASBATE !